Por favor tenga en cuenta el siguiente reporte de una actividad sospechosa en el área de Fourth Lane y Eucalyptus: Esta mañana unos estudiantes reportaron que ayer, jueves 9 de marzo después de la escuela y de camino a sus hogares un individuo no identificado estaba estacionado y dentro de su vehículo. El individuo comenzó a golpear la ventana de su auto y les pidió a los estudiantes que le ayudaran a abrir la puerta porque estaba atascado en el vehículo. Los estudiantes no abrieron la puerta y se alejaron corriendo del lugar. Se observó que el hombre se movió al asiento del conductor e inicio la marcha del vehículo. Ninguno de los estudiantes fue lastimado y no se acercaron de nuevo al área después de huir de la zona. El incidente no ocurrió en o cerca de ninguno de nuestros centros escolares, y el hombre no ha sido identificado. La policía de South San Francisco fue inmediatamente informada y en estos momentos se encuentra investigando el caso. Le pedimos a los padres de familia o tutores legales que le recuerden a sus hijos estudiantes de tener precaución con los extraños y cautelosos con sus alrededores, y reportar cualquier actividad sospechosa o cualquier interacción que los haga sentirse incomodos. También les proponemos “hacerse acompañar por un amigo” tanto como sea posible cuando vengan caminando hacia la escuela o de la escuela hacia sus hogares. Si tiene alguna pregunta acerca de este incidente, puede comunicarse con el departamento de policía de South San Francisco al teléfono (650) 877-8900 para más información. Please be aware of the following report of suspicious activity in the area of Fourth Lane and Eucalyptus: This morning, students reported that yesterday, Thursday, March 9th, after school, an unidentified male individual in a vehicle was parked as the students were walking by on the way home from school. From the inside of his car, the man knocked on his car window and asked the students to open the door for him, indicating that he was stuck in the vehicle. The students did not open the door and ran away from the area. It was observed that the man moved to the driver’s seat and began to start the vehicle. The students were unharmed and were not approached again after running away from the area. The incident did not occur on or near any of our school campuses, and the man has not yet been identified. South San Francisco Police were immediately notified and are currently investigating the encounter. The man is described as a white male, overweight, approximately 30 to 40 years old, who may have a mustache. The vehicle is described as a white van that may have been a Chevy Astro Van, 2004 model. We ask that parents and guardians remind their students to be cautious of strangers, to be aware of their surroundings, and to report any suspicious activity or any interactions that make them uncomfortable. We also encourage the “buddy system” as much as possible when walking to and from school. Should you have any questions or information about this incident, you may contact the South San Francisco Police Department at 650-877-8900. Spruce School Centennial Celebration will be on Saturday, April 22, 2017 at 10am to 1pm in the Spruce Gym. Come celebrate 100 years of education. Come see friends old and new as we share 100 years of memories. If you have photos to scan, contact the South San Francisco Public Library on Grand Ave. To share your memories on video, contact Isaul Beltran by February 20th at ibeltran@ssfusd.org. As the safety of our students and staff continues to be our top priority, we will be initiating a new test protocol of our emergency messaging system. As part of any immediate action response to an emergency or crisis scenario, we understand the importance of clear and prompt communication with our students, parents, staff, and community. This system test will allow us to continue to improve our ability to utilize phone messages, email blasts, and text messages to deliver important information district-wide. Since our emergency messaging system is based upon contact information recorded in our student information database, it is important that we have accurate and updated information to ensure that messages can be delivered. Should you wish to add new contact information, or verify existing information, such as phone numbers and email addresses, please contact/visit your local school site office. Cell phone users who have a number on file with the district/school sites, may receive an SMS text message asking you to “opt in” to continue receiving messages by text. Please be sure to follow the instructions to opt in, as this is an important service utilized by our emergency messaging system. If you do not receive the test message as scheduled, please contact your local school site to verify the contact information on file. Our new test protocol will subsequently be conducted at least annually to ensure the proper functioning of our system. Would you like to learn more about LCAP and LCAP goals? LCAP stands for Local Control and Accountability Plan, and is an important part of your child's education. Please watch these videos by Dr. Shawnterra Moore. School starts at 8:30. Please make sure your child is at school well before. If possible bring your child to school at 8:15 this will insure your child is in class on time. All of Spruce School Staff is enforcing the tardy policy. We have been communicating with our families this same message in the front office. Sometimes parents question the office and say, “a tardy slip isn’t required in my child’s class” and it is. It is not our goal or intent to inconvenience our families, but we do want to improve in communicating the same message. Please make sure that you are arriving to school on time. Free Tutoring for Your Child! Your child may qualify for free tutoring. Help your child succeed in school – sign up for free tutoring! This is a great opportunity to help your child in school without any cost to you. As a result of the federal No Child Left Behind Act, your child may receive academic tutoring to help him or her do better in school. **Spruce applications are available Tuesday, September 22, 2015 from 3:15-4:45 pm in the cafeteria. Applications will be in the office until October 9, 2015. We are very pleased to be able to connect eligible students to these services, but there are a limited number of spaces available. Therefore, you need to fill out, sign and turn in the application by October 9, 2015.
and vehicles with a valid handicap permit. Also, drop off and pick up can be done on Tammerack Lane. only be allowed for designated vehicles with visible permits. We are sorry about the inconvenience, you may drop off and pick up your child along Spruce Ave. Be cautioned that Law Enforcement Officers are issuing citations to individuals parking and leaving their vehicles unattended. Also, drop off and pick up can be done on Tammerack Lane. The South San Francisco Police Department will be hosting a "Town Hall Meeting" on Wednesday, May 6th at 7pm, at Monte Verde Elementary School located at 2551 Saint Cloud Drive in San Bruno. This is an opportunity for our residents to meet some members of the Police Department, hear about programs happening in our community, and participate in an open question / answer session. South San Francisco city leaders are holding Town Hall meetings to speak with residents and get feedback on service priorities. Chief of Police Jeff Azzopardi will lead this meeting, which will focus on changes in store for the Police Department. 18 years old and under. de 18 años y menores. The CA Department of Education has recently confirmed our school closure days on December 11th and 12th, 2014, as valid emergency days. This means that although school was cancelled for those two days due to severe weather conditions, the days meet the instructional time requirements set forth by law. Therefore, our current school year calendar will not be modified, and we will not be adding any replacement school days. El Departamento de Educación de CA, recientemente ha confirmado que el cierre de nuestras escuelas en los días 11 y 12 de diciembre del 2014, serán válidos como días de emergencia. Esto significa que aunque las clases fueron canceladas esos dos días, debido a las severas condiciones climáticas, se cumplieron los días y el tiempo de enseñanza requerido por la ley. Por eso mismo nuestro calendario escolar no será modificado y no agregaremos o reemplazaremos ningún día escolar. NO School on Friday February 27th 2015! Your Voice Matters too! The Student Survey Closes today, March 13, 2015. If you haven’t completed the survey yet, please be sure to do that as soon as possible. The new South City Shuttle provides free service around South San Francisco, with trips to local stores, senior center, libraries, city hall and parks. The shuttle provides transit connections with SamTrans and BART. This free shuttle is open to the general public and is wheelchair accessible. Medication letters MUST be on file in the Health Office each school year. Students who use medication other than inhalers and auto injectable Epinephrine (EpiPen), must have the medication kept in the Health Office. There is no exception to this rule. Students found in possession of undocumented medications may be subject to disciplinary action. If you have a student who will need to use medication at school, you must have the papers on file. Medication letters are valid for the current school year, not for one year from the date it was written. We need new letters every year. Please be sure and have a new form dated after 5/1/14 for the 14-15 school year. If your student will require medication at school, please contact the Health Office at 877-8848 for a “Medication Request Form”, or by email at dcorcoran@ssfusd.org. Forms requested by phone will be sent home with your student. Forms are also attached to this message. Please remember to pick up any unused medication from the school office before 5/30/14. Medications not picked up will be disposed. If you have any questions or concerns regarding the medication policy, please do not hesitate to contact me. South San Francisco Unified is providing free lunches for all kids & teens 18 years old and under. Please take this quick survey to share your priorities for our schools. On Friday, March 7th, 2014, Spruce Elementary School will be hosting its school wide Fun Run. The fun run will take place on the grass area next to the parking lot if the weather permits. Our goal is to promote an active and healthy lifestyle for our students and community. In addition to this, students and families will be able to help raise funds for Spruce Elementary. Every Class will have 30 minutes to complete as many laps as possible around the Fun Run. The funds collected will go to the Spruce School PTA to help bring Playworks back to Spruce. Families are welcome to come and cheer on our students during the Fun Run. Please see the schedule below to know when your child will be participating in the run. Lets get out there and Run for Fun! On May 3, 2014, the students and families of SSFUSD will participate in our 2nd annual 5K run for health, community and education. All participants will receive a T-shirt and your design could be displayed on the back! 1. Participants must be currently attending one of the SSFUSD schools. 2. Design must include the title “Run for Schools”. 3. Design contest WINNER will have their design printed on the front of the T-shirts for all participants, receive a cash prize of $ 50.00, 5 free entrance registrations for friends or family, and have their design placed on the district website. 5. Design must legibly and visibly incorporate Health, Community and Education. 6. Design should be placed on paper that is no larger than 8 ½ X 11 inches, be a vertical design and able to fit on the front of a T-shirt. 7. Design should be reproducible clearly in black and white and in full color. 8. Design should not include a specific school, school mascot or student’s name. 9. All submissions should be the student’s original work. No copies or tracings are permitted. Copyrighted characters, images or clip art are also not permitted. 10. All entries must be submitted with an entry form attached to the back of the submission. 11. Deadline is FRIDAY, March 7, 2014. All entries should be delivered to their school principal. 12. Winner will be announced at a future Board of Trustees’ Meeting. South San Francisco Unified School District’s 2nd annual 5K fundraiser is here! This easy 3.1-mile course will start and end at South San Francisco High School with school bands and cheerleaders entertaining you along the way. After the race, runners and walkers will want to stay and enjoy our post-race celebration which will take place with snacks, tee-shirts, awards, entertainment and more! Celebrating 100 years of high school services to the SSF community. Please join us for the South San Francisco Unified School District's Centennial Celebration on Friday, September 27, 2013 in the South San Francisco Conference Center. Seating is limited, so please send in your reservation by Friday, September 13th. The District Office Student Services/Attendance & Welfare Department (enrollment. transfers, and proof of residency) is open from 8 to 4:30. Please note that we are closed for lunch between 1:00 and 2:15. PARENTS AND STUDENTS, WE WANT YOUR FEEDBACK! The survey window will close on May 24, 2013. Please provide your feedback before then. The South San Francisco Unified School District seeks to cultivate a caring and inclusive relationship with the community and engage parents to become active participants in their children’s learning experiences. 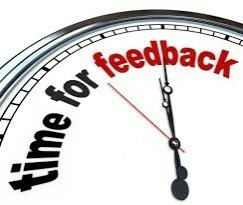 One way to involve you is to seek your feedback and input to help enhance the work we are doing in the district. It is important to our district that we celebrate the things we are doing well but also acknowledge areas with which we can improve. In order to generate feedback, we’d like to collect perception data from you, our students. Please rate the following items from your own perspective. All responses are anonymous and cannot be tracked. Our goal is to work together with you to improve your education and your overall school experience. Keep working on those reading goals! We had a record breaking 7 students reach the "Million Word" mark for reading so far. You may be the next student to reach this goal!!! January is Spruce's month to display art from our students at the District Office. Please come by and view Spruce students' artwork! Congratulations to Cougars that reached their AR and reading goals!!! They get to enjoy Pizza with the Principals this week!!! Reading is Power! Emergency PTA Meeting October 18th @ 9:00am! Bookfair will be running everyday this week! Don't forget to stop by our library to see if there is a book calling your name! Our school is in need of parent support at the entrance of the parking lot before school. Our Safety Patrol students perform a wonderful job of directing traffic with the help of a few teachers and administrators. Now we are asking for your help in performing this important job. Follow this link for more information. Remember Cougars August is Cooperation month! Please look at all the traits that show strong Cooperation skills here and you may be chosen for an award by your teacher at the end of August for demonstrating these skills! Playworks is starting today! Please welcome coach Sisilio Aquino to our Spruce family! Welcome New Principal Israel Castillo! Last night the School Board approved the appointment of Mr. Israel Castillo to the position of Spruce Principal! We are so thrilled to invite a new, talented leader into the Spruce and greater SSFUSD community. Mr. Castillo will be visiting campus on Wednesday, 5/30 at dismissal time. Please come and say hello and introduce yourself. On Monday we had two important celebrations: Our fifth graders performed in a band concert for our school and our Genentech students graduated at a fun end-of-the-year carnival. A good time was had by all! Check out pictures from both events by clicking here. Congratulations to the Spruce Girls On The Run team who got together in Golden Gate Park on Saturday, 5/12 to run a 5K race. That's 3.1 miles!! Spruce students all ran with an adult running buddy including Spruce teachers, teachers from other schools and friends from the community. It was hard work, but the girls had a positive attitude and were well prepared, thanks to their coaches, Ms. Scinto, Ms. Davila, and Ms. Freiberger. What a day! Two students represented Spruce proudly at the district's annual Spelling Bee at Elk's Lodge this past Thursday, 5/10/12. Zoe Rodriguez & Oliver Elias Tinoco were our top spellers and they did an excellent job. Ms. King accompanied them along with members of their families. Nice work! We had an excellent ending to our testing weeks: a visit from the NED Show. NED stands for Never give up, Encourage Others and Do your best. The positive message is wrapped up in a pretty fun all-school assembly. The story is told through, of all things, YO-YOs! After the assembly everyone at school got excited about buying NED yo-yos to help them remember the NED show. Our school is yo-yo crazy! Thanks to Ms. King for bringing the NED Show to Spruce. See some pictures of the yo-yo fun by clicking here. Well, the two weeks of testing are actually behind us! The boxes are being packed up to be sent off to the state on Monday. Congratulations to all Spruce students in second through fifth grade who worked especially hard and did their best. And, of course, to the fantastic teachers who made that possible. Students all remembered our mantra this year: Learn It, Know It, Show It! Nice work. Did you know that there is a new student club on campus? We now have our very own chapter of the national Girls On The Run. Students in our upper grades have signed up to run, get healthy, and even participate in races. Ms. Freiberger, Ms. Scinto, and Ms. Davila have been organizing practices, meetings, and getting everyone pumped! Each student will run with a running buddy in a big race in a few weeks. Learn more about Girls On The Run here. Students, Staff & Friends Run for Recess! This past Saturday was a first for Spruce! Students, staff and friends got together at Golden Gate Park to participate in Playworks' Run For Recess. Some of us ran and 5K and other walked a 1-mile track. Coach W cheered us all on and everyone enjoyed the beautiful sunny day. Students from our Girls on the Run club showed off their new running talent! Click here to see the photos. Thanks to the help of dozens of volunteers and staff members, we have almost finished labeling practically every book in the school. It's time for students to READ! All students can read a book at their level and then earn points when they take a comprehension quiz. How many points can you earn? How many books can you read before the school year ends? This week Officer Jim Portolan visited all of our first grade classrooms to teach us about stranger danger. Students learned a lot, but most importantly, ALL of our students need to know their name, address, and phone number in case of emergency. Parents & guardians, PLEASE take the time to teach your child these three critical things. Family Math Night a Big Success! Over 250 children and adults attended our Family Math Night this year! It was an excellent evening filled with fun and learning. Students and their families made their way around from table to table. At each table teachers showed families how to make a math game and how to play it so they can play at home. Most students walked out with 8 or more fun games to play! Thanks to the wonderful planning committee who made it all possible and to our fantastic custodians who enabled us to hold this event in the gym for the first time! Click here to see pictures. Our annual Family Math Night is coming up on Tuesday, January 17th at 6pm in our gym. This year we have changed the event so that instead of just playing math games, you get to take them home! At the end of the evening you might go home with 10 or more math games to play! We hope to see you there! We are SO LUCKY to have Playworks & Coach W this year! In just a few short months our school has transformed to include an organized, structured recess, sports leagues, class game time, Junior Coaches and so much more! Check out some great photos here. Pretty much every student, teacher, and staff member alike knows Mr. Tostado around Spruce School. This is because he is here volunteering every single day. He helps out all students during recess time and even runs a great soccer program for all students after school. Spruce just wouldn't be the same without him! Follow this link to see some pictures of his great soccer program in action. This year Spruce has started monthly character themes. Our first theme this past month was for COOPERATION. Everyone did an amazing job thinking about this and incorporating it into the month's activities. Today some students received a special certificate for their fantastic cooperation skills. See the winners by clicking here! On Monday, 10/31, Spruce was a spooky, scary, fun, and fantastical place! Many students and adults dressed in costumes and had fun in our Halloween Parades. Check out a few pictures here. Spruce had an excellent Fire Prevention Week this year. Thanks to the tremendous efforts of the SSF Fire Department, all students learned a great deal about what to do if there is ever a fire. They learned about the truck, held a hose, practiced crawling out a window, and watched a short assembly on what to do. CONGRATULATIONS to Dorothy Burton, who was this year's winner of the poster contest. Click here for more pictures. The Spruce PTA put on a great Movie Night for all students and their families! We transformed the cafeteria into a "theater" by dimming the lights and selling theater food like freshly popped popcorn, juice, and more! Students and their families enjoyed watching Casper together and got into the Halloween spirit! The event was packed with people but we hope even more will join us at our next one in December. New Assistant Principal Chanel King joins Spruce! This Monday the Spruce community was very pleased to welcome Ms. Chanel King as our new Assistant Principal. Ms. King joins us after years of administrative experience in the surrounding Bay Area. She will be learning the ropes at Spruce over the next few weeks. If you see her out-and-about, please say hello and introduce yourself! Gilead & Rebuilding Together School Makeover! Today was a remarkable, amazing, FANTASTIC day for Spruce. Almost 100 volunteers from, Gilead a biopharmaceutical company came out and spent the day restoring, beautifying, organizing and innovating at Spruce thanks to the tremendous facilitation and management of, Rebuilding Together a non-profit organization. Many came out to visit and take part, including Mayor Mullins, Superintendent Hogan, and Facilities Director Jeff Bonner. With the energy and committment of so many people, here is a brief list of some of the projects they tackled. Click here for the before and after photos. library and lab redo with book character wall decals, new teacher work room and floor-to-ceiling organized secure paper storage. completely reorganized gym storage closets with 30 brand new folding tables for family events and custom stencil work declaring "Go Cougars!" After such an exhaustive list, it's easy to understand why teachers had tears in their eyes when they glimpsed the finished product at the end of the day. Overheard in-the-moment: "this place has never looked so welcoming," "no one has ever cared so much about our school," "I can't wait to bring my students!" Students will surely be equally thrilled when they get to experience the changes on Monday. THANK YOU GILEAD AND REBUILDING TOGETHER. What a day!! On Friday, September 2nd, Spruce students, parents and teachers showed school spirit by wearing a crazy hat to school! Thanks to all those who joined us for a great Back To School Night this past week. For those that missed it or would like a review, click here for a link to the presentation that Ms. Vyduna shared. We are THRILLED to share that our new computer lab was installed this week and is ready to use. This will be a great opportunity for all Spruce students. Teachers will have the opportunity to sign up for lab time as needed. Very exciting! Please Return Forms & Bring Supplies! This is an important time of year. Please make sure complete your child's emergency card, lunch application, and permissions forms IMMEDIATELY. If your child turns in all three and brings their school supplies by Friday, they receive a free prize! See Spruce Getting Ready for School! Thanks to Drew Himmelstein, editor of Patch and James Tensuan, talented photographer for capturing our day-before-school festivities. Click here to see the photos and captions. Please join the Spruce community in welcoming two new teachers for the 2011-2012 school year! Ms. Kuo will be teaching first grade. She joins us from Garden Grove, California where she taught Kindergarten and first grade for the past seven years. Ms. Thompson will be our new Title I reading teacher. She joins us after teaching in East Palo Alto and working with students at a variety of grade levels. We are SO lucky to have them join our team and can't wait to show them around. Ms. Scinto moves to Fifth & Ms. Kreisman joins Fourth Grade Team! Ms. Kreisman, formerly at Title I Reading Teacher at Spruce will join the fourth grade teaching team next year. This opening was made available when Ms. Scinto was moved to fifth grade, filling Ms. Passmore's position due to her retirement. After the school year had ended, Ms. Bradshaw accepted a new position teaching at Juniperro Serra. Ms. Bradshaw's talent, enthusiasm and creativity were true gifts to the students and staff at Spruce school and will be sorely missed. However, we are very pleased to share that Ms. Mesina, formerly a first grade teacher, will be taking this Kindergarten opening for the 2011-2012 school year. In addition to her years as a first grade teacher, Ms. Mesina has multi-layered experiences working with Kindergarten-age children and is excited to return to an age group she truly loves. Please join the Spruce staff in welcoming our new Superintendent, Mr. Alejandro Hogan, who joined the SSFUSD team as our leader on July 1st. If you would like to learn more about him, click here. Welcome to our incoming Kindergarteners! We can't wait to meet you. Pleaseclick on the links below to help prepare you for the first day of school on August 17th! Our Pennies for Peace drive was a great success. However, the organization has recently come under serious investigation for mismanagement of funds. After careful consideration, we have selected the organization Room To Read to donate the funds we raised. Room to Read has a similar mission with a proven track record. Please see the official letter attached for more information. Last week the district held our annual fifth grade spelling bee. Two Spruce cougars represented all of the talented spellers with poise, grace and humility. Congratulations to Rachel and Sabrine on an excellent job. Spruce Cougars were out in force last week! Our fifth grade band students performed once for our school and then joined forces with other students for the district band concert. The music was beautiful and showcased the tremendous hard work of students and their fantastic teacher, Ms. Yodice. Job well done to all! See pictures by clicking here. Last week Genentech wrapped up their year-long tutoring program with a bang. All Spruce students participated in a great carnival and graduation ceremony. They wore caps and gowns, received certificates, and got to play a variety of fun games before heading home with a special gift. We are SO grateful to the fantastic support that Genentech provides our students each year. We look forward to continuing the program in the coming years! See pictures by clicking here. Thanks, Walmart.com for a great Junior Achievement Day Wednesday, May 11th! What a great Junior Achievement Day! A big thank you to Walmart.com, who made this day possible. Every classroom at Spruce had two guest teachers from walmart.com. Students learned many important social studies and real-life skills. A great time was had by all. See pictures below! Our teachers would like to give a special thanks for the super whiteboard markers they received as a gift too! Mrs. Vyduna also gives a special thanks to Sharon from Junior Achievement and Tony from Walmart.com who did a tremendous job organizing and promoting this special day. Teacher Appreciation Week After Spring Break! Please mark your calendars! National Teacher Appreciation Week is May 2-6, the week we return from Spring Vacation. Spruce is lucky to have so many FANTASTIC teachers. Please take a moment to think about how you might honor and thank them in your own way. This week we are all talking about the updated uniform policy. Parents, students, and teachers had noticed that not everyone was following each part, so we are getting re-energized and re-committed to looking our best. Click here to review the policy in full. Each year every school Principal is asked to share a brief presentation with the school board. Our chance was last Thursday and it went great! Many teachers, parents and students came to show support and/or be honored. Click here to see the presentation for yourself! This week marked the beginning of the testing period for the California State Tests. Students and teacher have been working all year and this is the time to show off all that we have learned. On Monday students in grades 2-5 met in the gym to have a test pep rally. Students learned the song "Don't Worry, Test Happy" and even sang "Test Taker Face" together. All students received a special blue bracelet to help them remember to "rock the test!"